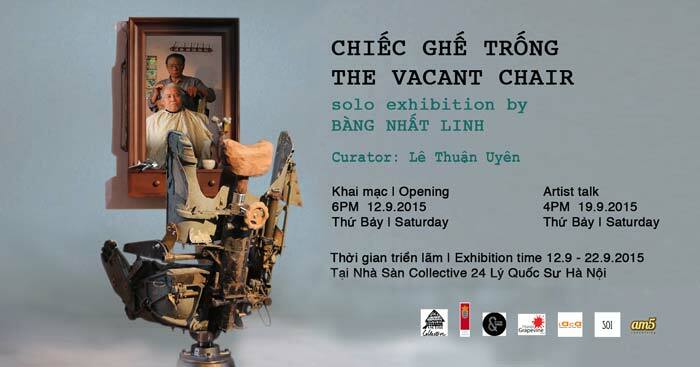 HA NOI (VNS) — Visual artist Bang Nhat Linh's newest video installation will star in a solo exhibit, The Vacant Chair, at Nha San Collective starting this Saturday. The piece of work was inspired by George F. Root's self-titled song about the loss and emptiness of loosing loved ones in the American Civil War. It's an intimate narrative informed by the country's modern history that attempts to step out of its original context by transforming a war object into a universal symbol of love.